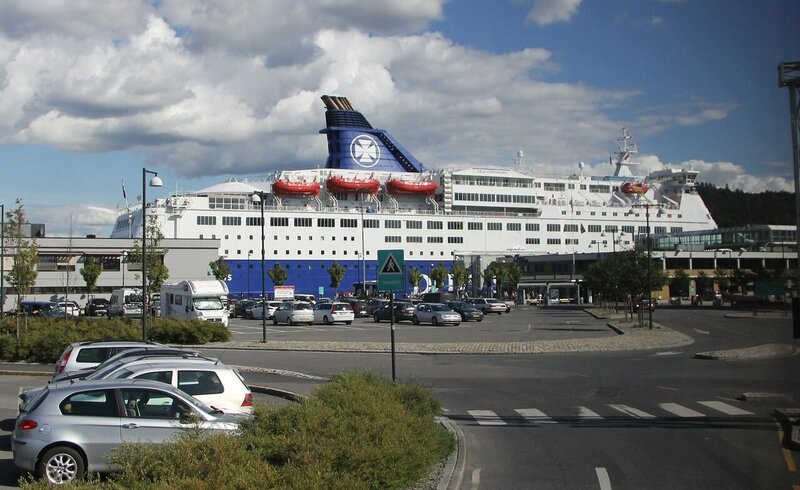 My walk through the capital of Norway ended at the terminal of the company DFDS, at the tip of the cape, where the Akershus fortress (map). From the town hall square (Rådhusplassen) to the terminal about a kilometer and it is quite possible to walk in 10-15 minutes. 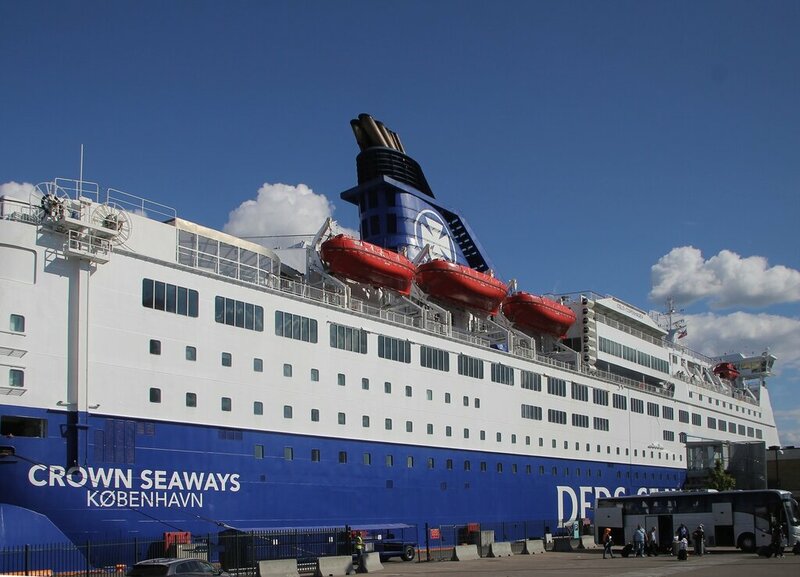 Here we go aoard the Crown Seaways ferry service Oslo-Copenhagen. 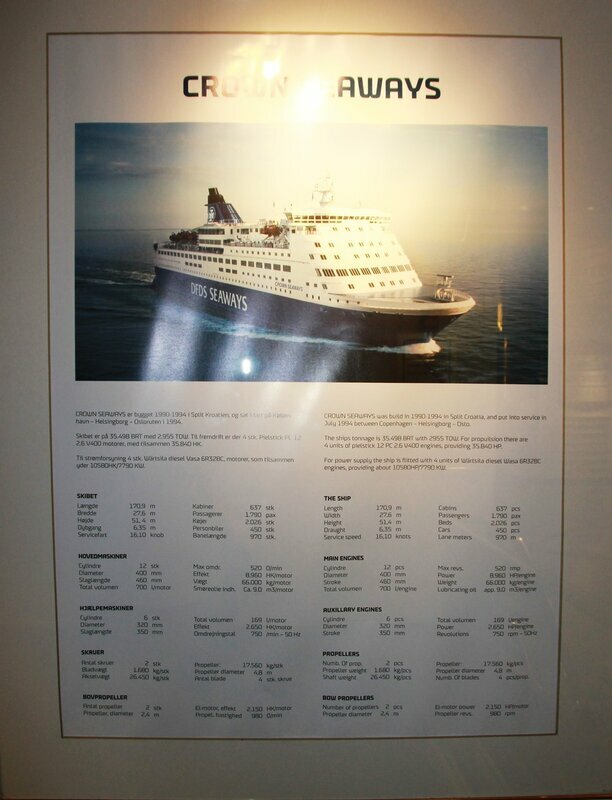 Orders on DFDS are somewhat more severe than on Silja lines, if there is just a scan of your boarding pass, then here you need to present an identity document to the ticket. The purpose of this procedure is not entirely clear, if desired, you can get to Norway drought, where no border control does not exist. I think just conservative Norwegians are doing it according to the old tradition. At the reception you can get acquainted with the characteristics of the vessel. 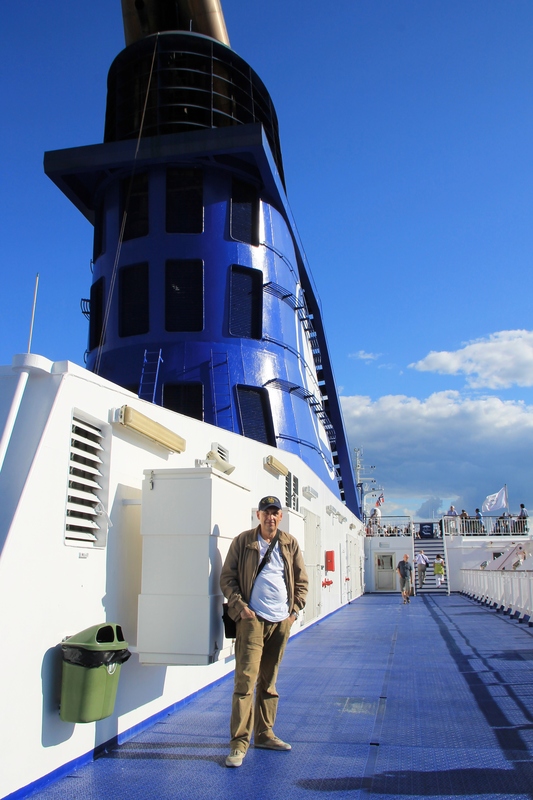 The 12-deck ferry accommodates 2,136 passengers and 450 cars (more about the ferry). 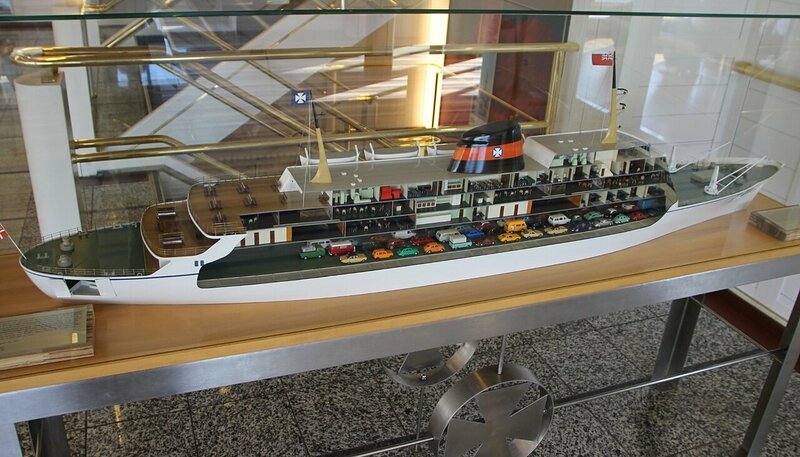 Model of one of the first DFDS ferries. 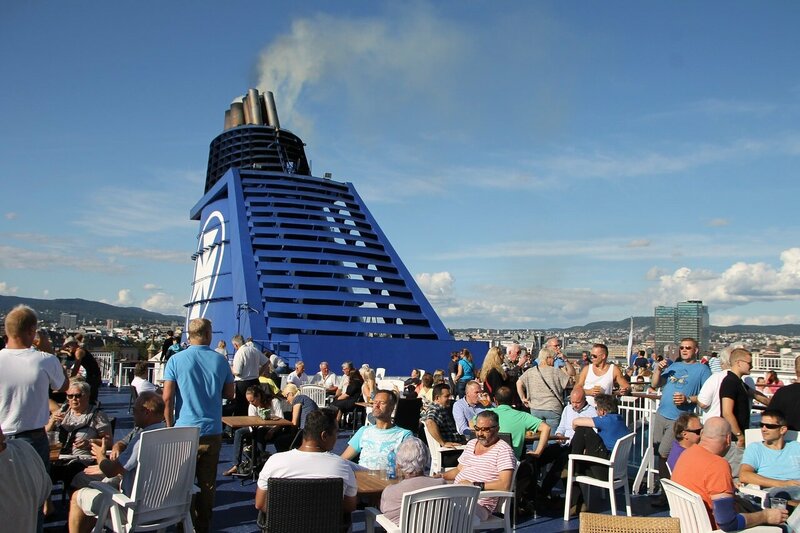 Such modest vessels, which could accommodate less than a hundred cars and five hundred passengers, have long been replaced by 10-12 deck giants. Leaving the backpack in the cabin I go up to the upper deck. Before departure one and a half hours, but on Board a lot of passengers. 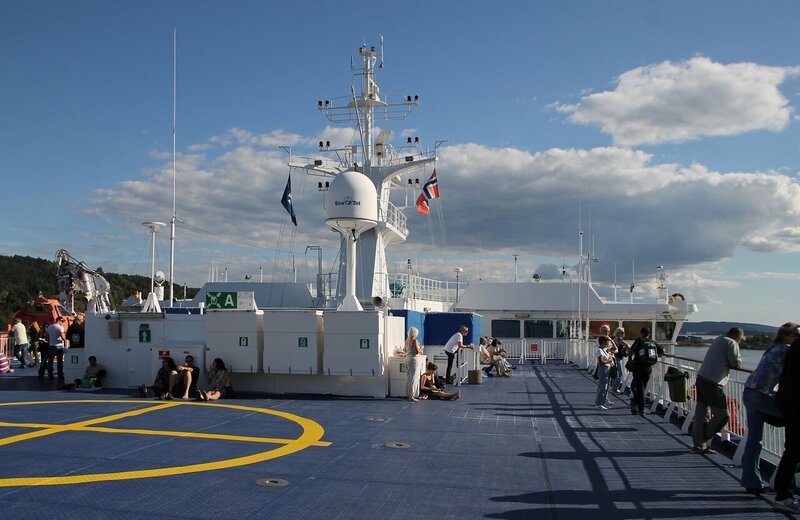 Well, we moved away from the pier, leaving the stern of a beautiful country of fjords and glaciers. But we do not say goodbye to Norway, our ferry a few hours to go along the banks of the Oslofjord.